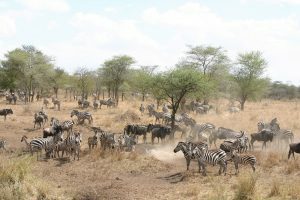 Serengeti National Park is located in the Mara and Simiyu regions in the Serengeti ecosystem in Tanzania and it is famously known for its numerous Nile crocodile and honey badger with 250,000 Zebra and 1.5million white-bearded wildebeest annual migration. Serengeti National Park is organized and divided into three sections that is the western corridor is marked by the Grumeti River and has more dense bush and forests, the popular central part or Seronera valley in South which is what the Masai refers to as the “Serengeti” the land of endless pains with its classic savannah, dotted with acacias and also filled with wildlife and the North Lobo area which meets up with the Kenya’s Masai Mara Reserve and the least visited section. 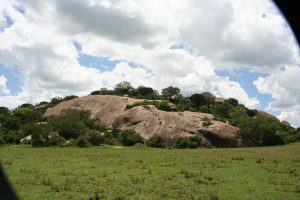 The park was established in 1951 but for around 200 years the Maasai people had been grazing their livestock in the eastern Mara Region which in the open plains which they named “endless plains” when Austrian Oscar Baumann the first European explorer visited the area in 1892 and the name Serengeti is derived from an approximation of the word used by the Maasai to describe the area, Siringet meaning “the place where the land runs on forever”. 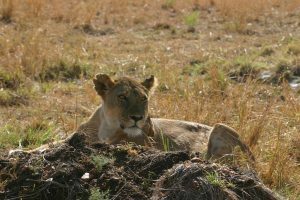 In the year 1913 Stewart Edward white, the first American to enter Serengeti recorded his explorations in northern Serengeti in 1913 and in the year of 1920, he returned to the Serengeti and camped for three months in the area around Seronera and during this time they shot 50 lions he and his companions. 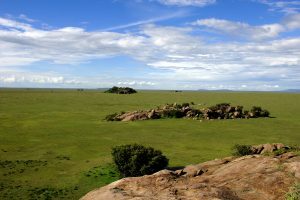 In 1921 the British colonial administration made a partial game reserve in the area of 3.2km² (800 acres) in the area and a full one in 1929 because of hunting of lions which made them scarce and these actions were the basis for the establishing of the Serengeti National Park in the year 1951. After the initial work of Bernhard Grzimek and his son Michael where they produced the film documentary and the book Serengeti Shall Not Die, one of the most important early pieces of nature and widely recognized conservation documentary which made the Serengeti gain more fame in 1950s. 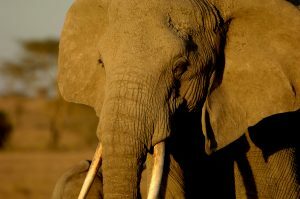 In 1959 the British evicted the resident Maasai from the park and they were moved and transferred to the Ngorongoro Conservation Area. 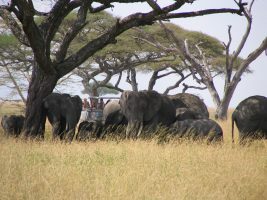 Serengeti National park is the with over 2,500 lions and more than 1.5 million wildebeest and providing a major draw to the Northern Safari circuit encompassing Lake Manyara National Park, Tarangire National Park, Arusha National Park and the Ngorongoro conservation area, Serengeti remains the flagship of the country’s tourism industry and the Tanzania’s oldest national park. 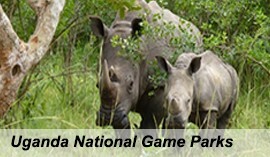 The park has a unique eco system and covers 14,750 square kilometers of grassland plains, savanna, woodlands and riverine forest. 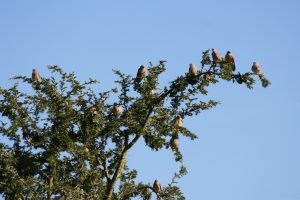 The park is bordered to the north by the Kenyan border where it is continuous with the Maasai Mara National Reserve and it lies in the North western Tanzania and in the southeast the park is Ngorongoro Conservation Area, southwest lies Maswa Game Reserve, to the west are the Ikorongo and Grumeti Game Reserve and in the Northeast lies the Loliondo Game Control Area which all these form a large Serengeti Ecosystem. 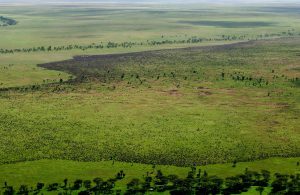 The two biosphere Reserves and World Heritage Site have been added and established within the 30,000km² region and the ecosystem of Serengeti is one of the oldest on earth and the essential features of vegetation, climate and Fuana have barely changed the past million years. 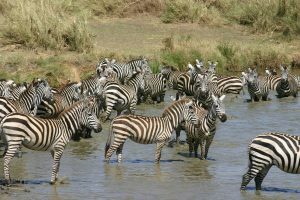 The park is the migration for over 200,000 zebras and a million wildebeest that from the northern hills to the southern plains for the short rains every October and November and then move west and north after the long rains in April and May and June. The migratory and some being residents over 2 million constituting the largest population of big mammals which still roam the planet and on their journey through the Serengeti Mara ecosystem they are joined by the plains of Zebra, Thomson’s and Grant’s gazelle, and tens of thousands of topi together with Coke’s hartebeest, the Impala, warthog, Masai giraffe, waterbuck and hippos are also abundant. 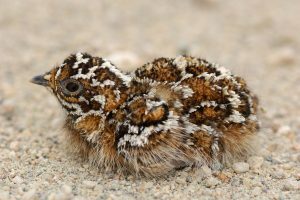 The antelopes are also rarely seen. The park also boosts of the Big five animal attractions which include the Lions, Africa Leopard, African bush elephant, African buffalo and the Eastern black rhinoceros mainly found around the Kopjes in the center of the park. 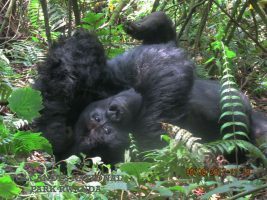 The park also is a home to primates such as yellow and olive baboons, black and white colobus, which are found in the gallery forests of the Grumeti River. 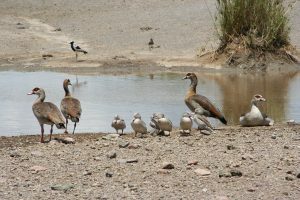 The park also boasts about 500 bird species including the marabou storks, Masai ostrich, southern ground hornbill, lesser flamingo, lovebirds, martial eagles, yellow billed stork and many vulture species. 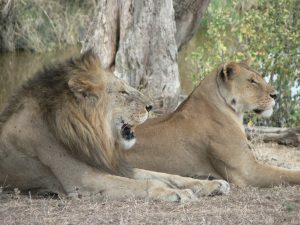 The park is a home to reptiles such as the Leopard tortoise, Nile crocodile, African python, Nile monitor, black necked spitting cobra, serrated hinged terrapin, puff adder and the rainbow agama. 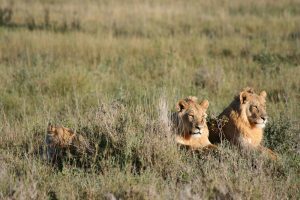 Serengeti National park is known for its migrating wildebeest and a large dense lion population which is spread across a very big area and this can be experienced in a night and day game drives depending on the animals that you want to spot and the areas of Serengeti you want to see. 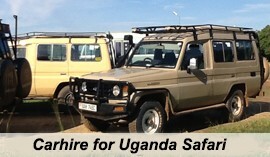 The animals to be viewed here include leopard, several cheetahs, jackals, hyena among others. 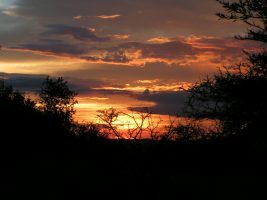 Serengeti is a home to a semi-nomadic tribe called the Maasai tribe that has lived in Tanzania and Kenya for many centuries and by visiting these villages known as the Bomas will expose you to the way of life, the Maasai customs, rituals and traditions, traditional dance and handcrafts made using traditional methods. Boating through the rivers and pools such as the Retina Hippo pool expose you past hippos stunning themselves with their mouths wide open gathered in half submerged herds and sleeping crocodiles. 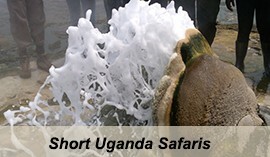 This retina pool is where the hippos gather to feed bathe or fight. 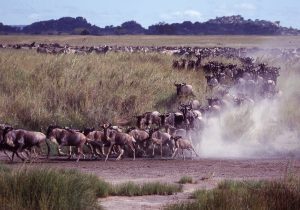 The visit of Grumeti River gives you stunning views of catching the wildebeest migration while the animals crossing the Grumeti River. 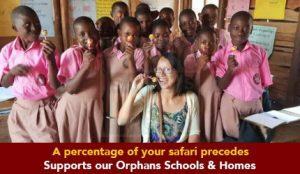 This also expose you to crocodiles trying to consume the wildebeest while battling to swim into the Maasai Mara. 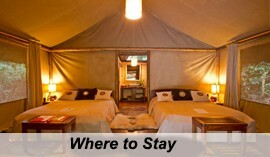 You will also experience a picnic and relax by the riverside alongside wildebeest, elephants, monkeys and hippos. 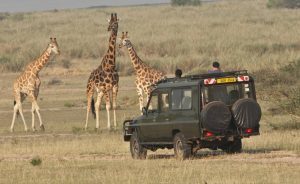 The Serengeti National park is accessed by road from Arusha a very long drive passes through the gate of Lake Manyara National park and to Ngorongoro Crater Conservation area and enters Serengeti through Naabi Hill gate which is 335 kilometers. 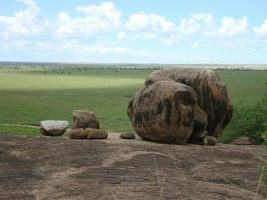 The park can also be reached by plane use of small aircrafts from Arusha to Seronera Airstrip in the heart of Serengeti.